Snow bunting breeding habitat on the north side of Cirque Mountain. Abraham’s Glacier is visible in the background. 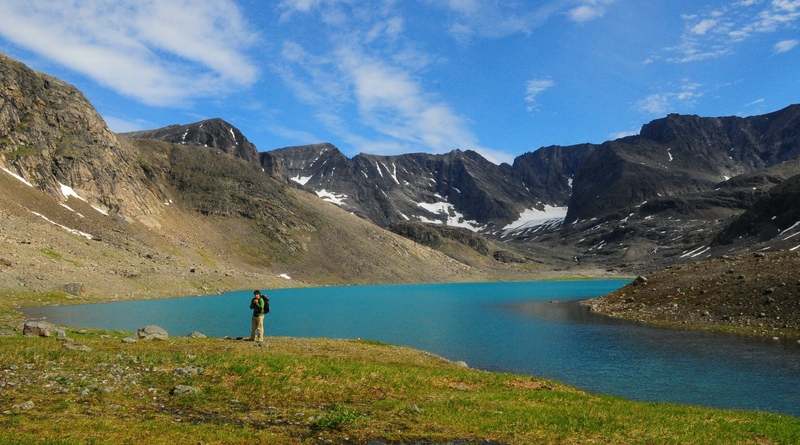 Torngat Mountains National Park is a fledgling park and the first to be created in Labrador (2005). Spanning the entire northern tip of Labrador north from beautiful Saglek Bay, the park is comprised of 9700 km² of stunning wilderness, rugged mountains and pristine natural wonders. It contains the only glaciers in continental North America east of the Rocky Mountains, as well as the highest point in mainland Canada east of the Rocky Mountains (Mount Caubvik: 1652 m, 5420 feet). The name comes from the Inuktitut word torngait, meaning “place of spirits”, and from what I’ve heard a visit to the region is nothing short of a spiritual awakening. I hope to get there myself someday soon! Birding in the park provides a unique opportunity to see many northern species on their remote breeding grounds – including show-stoppers like Red-throated Loon, Harlequin Duck, Peregrine Falcon, Gyrfalcon, Rock Ptarmigan, Glaucous Gull, Snow Bunting, Lapland Longspur and Northern Wheatear! And with birders and researchers having only scraped the surface of this brand new park, there is plenty left to learn and discover. 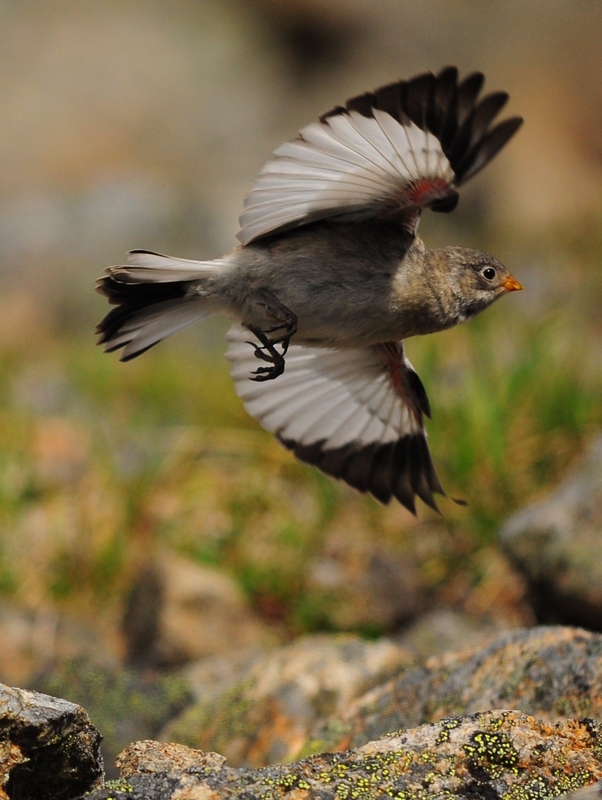 Bird Checklist of Torngat Mountains National Park – A full checklist of birds you might expect to find … this is a checklist that is sure to grow and evolve as more is learned about this wonderful (and vastly unexplored) part of our province! 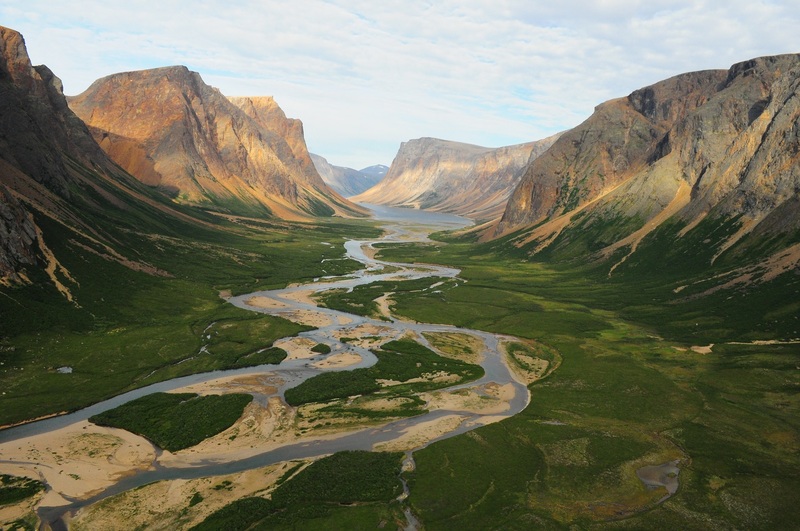 Unlike many parks, the remote location and limited accessibility means that a visit to Torngat Mountains National Park requires lots of planning and a few extra precautions. Anyone thinking about visiting the park should contact an experienced outfitter or the park to learn about options, logistics, and safety precautions. All visitors must register with park officials. There are no roads, no signage and very few amenities – but the park is yours to discover. Southwest Arm, Saglek Fiord. Several treeline bird species reach the northern limit of their breeding range in dense willow and alder thickets in deep valleys such as this. 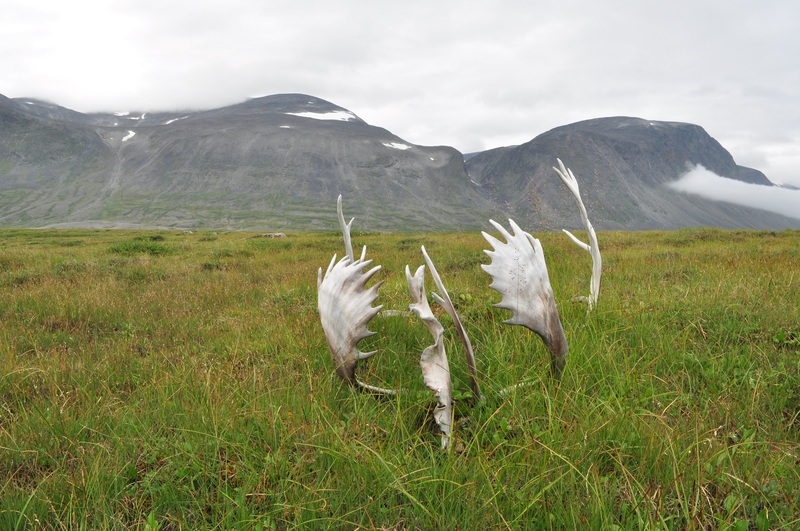 Tundra habitat near Kanglalaksiorvik Lake. 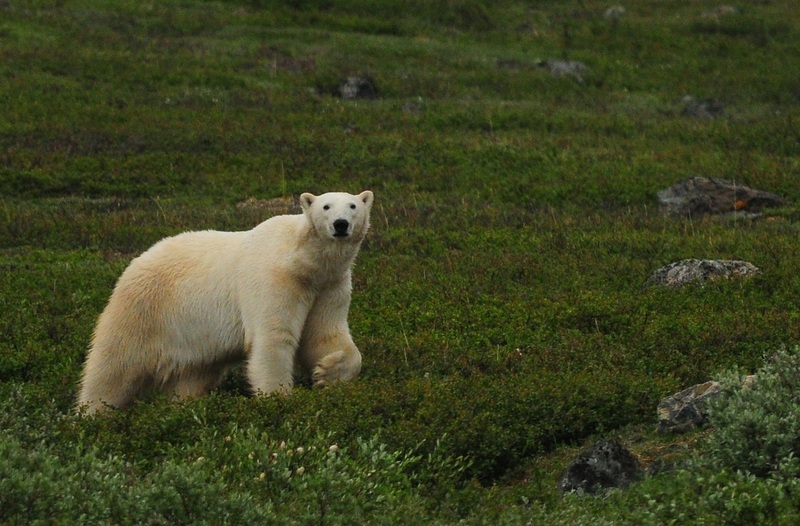 Polar Bears and Black Bears are common in the park. While these animals are exciting to see, bear safety can place some serious constraints on birding activity.